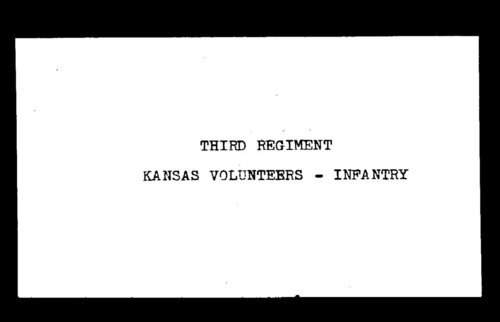 This is the muster out roll for Civil War soldiers in the Kansas Third Infantry volunteer unit, which would later be consolidated with the 4th to make the 10th. The lists may include name, rank, age, when and where they mustered in, last date of pay, and remarks. The index to the Kansas Adjutant General's Report, 1861-1865, (see link below) also gives the regiment and company the soldier served in.